During the Victorian era, young girls and women were often taught how to play the piano as it not only provided a creative outlet, but was also a vital source of entertainment. 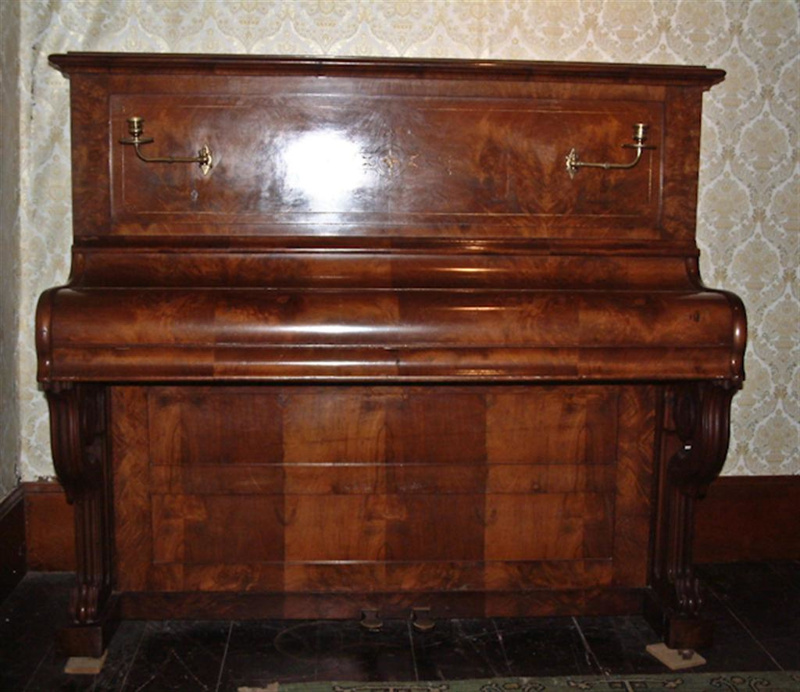 Often, families and friends would gather around the piano to sing songs and hold soirees. 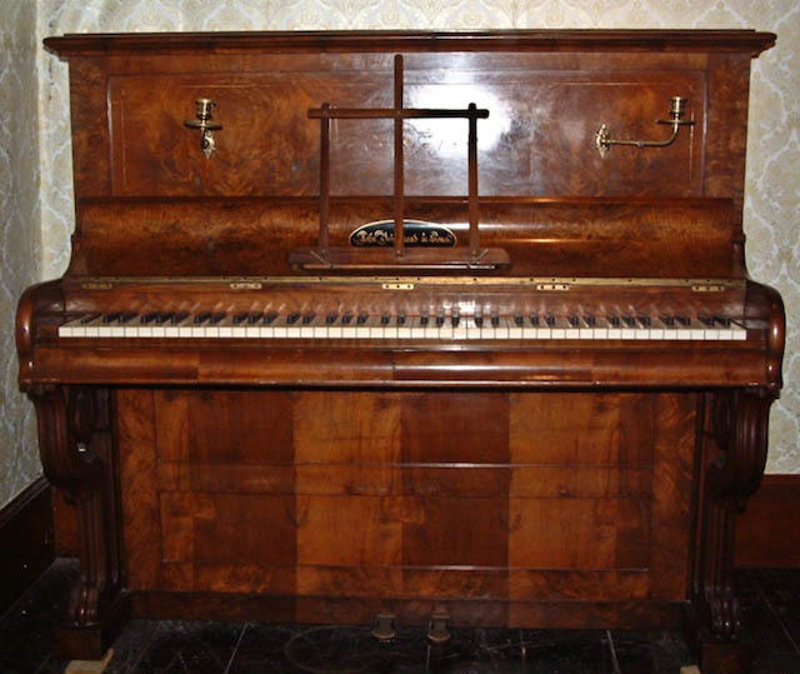 This piano was donated to Clendon House in c. 1974, as Marian was the daughter of the house’s original owner, Captain James Reddy Clendon and his second wife, Jane Takotowi Clendon (nee Cochrane). Marian was born on 16 June 1864. As a young girl, Marian and her siblings were taught by a governess, Mrs Bennett, in the attic room under the gables of Clendon House. At the age of 17, she married Thomas Lumsden Millar, the Postmaster at Rawene, and they had seven children George Frederick Graham, Edward Lumsden, Trevor Clendon, Thomas Lumsden, Frances Edith, Ruth Takotowi and Marion Elizabeth, more commonly known as Peggy. Marion died in 1961 at the age of 97 years. (1), Florence Keene, 'Under Northland Skies: Forty Women of Northland', 1984, p. 119.